Joaquin Lunaâ€™s dream was simple. He wanted to become a civil engineer. But the Texas studentâ€™s undocumented status limited his options for the future. Left without hope, the 18-year-old shot himself the day after Thanksgiving last year. Luna was one of the more than 2 million undocumented children and young adults living in the United States. The inability for them to legally obtain a social security number makes it a struggle to get a driverâ€™s license, apply to college and find a job. Young people like Luna are already at a heightened risk of having anxiety disorders, that often go untreated, according to the National Institute of Mental Health. But for undocumented youth, the risks are even greater due to uncertainty over their future, fear of getting arrested and deported, and social stigma about being undocumented. According to Josefina Alvarez, a professor on Latino mental health at the Adler School of Professional Psychology in Chicago who works with immigrant community organizations, evidence about the mental health consequences of being undocumented are beginning to emerge out of case studies with immigrant children and families. In a 2008 study done by the Carolina Population Center at UNC-Chapel Hill, 31% of Latino adolescents in North Carolina showed signs of sub-clinical or clinical anxiety and 18% showed signs of depression. The study did not distinguish between those who are here legally and those who are undocumented, but the demographics of those surveyed reflect that 93% of the children were not U.S. citizens. The study also looked at the participantsâ€™ usage of mental health services and found that only 4% of those surveyed had received any mental health services in their lifetime. Undocumented immigrants are already at a disadvantage due to the structural barriers to accessing these services, such as lack of health insurance, cost of services and language barriers. Even though the Obama administration overhauled health care in order to cover more uninsured Americans, the Affordable Care Act excludes undocumented immigrants from receiving benefits. It also slashes funding for safety-net hospitals, which provide significant levels of care for low-income, uninsured and vulnerable populations, including undocumented immigrants. On Sept. 17, the White House clarified that the exclusion from health insurance coverage applies even to young undocumented immigrants who obtain deferred action status from deportation for two years (DACA). Angelica Velazquillo, a graduate student at the University of Chicago and an undocumented youth activist, says that even accessing health services at local clinics can be cumbersome, as many have waiting lists for mental services. Fellow activist Marco Saavedra adds that the health service centers at universities and high schools might not have counselors who have a lot of experience with undocumented immigrants. Another hurdle is the psychological barrier in accessing these services. In the Carolina Population Centerâ€™s study, one-half of Latino immigrant parents expressed reluctance to seek mental health services because they are uncomfortable with talking to a medical provider. Dr. Octavio Martinez, a psychiatrist from Texas and the executive director of the Hogg Foundation for Mental Health, finds this issue particularly pertinent with undocumented immigrant families. Fear of authorities and fear of deportation isnâ€™t just a barrier to seeking mental health care. It can often be the very cause of anxiety and depression for undocumented immigrants. In 2010, 19-year-old undocumented Brazilian Gustavo Rezende hung himself behind his Marlborough, Mass., home, reportedly worried about his court hearing after being arrested on misdemeanor charges for driving under the influence and driving without a license. Rezendeâ€™s family and friends said he was afraid of being deported back to a country he barely knew. In a case earlier this year, 22-year-old Yanelli Hernandez attempted suicide twice while being detained at Butler County Jail in Ohio. Hernandez had been arrested on a DUI charge and was awaiting deportation. 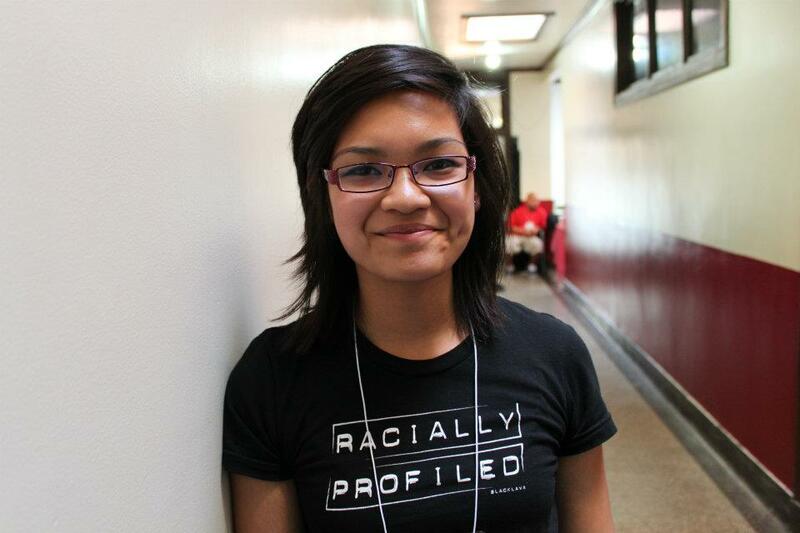 Her case became the cause cÃ©lÃ¨bre for many immigration groups, including National Immigrant Youth AllianceÂ (NIYA) and the Chicago-based Immigrant Youth Justice LeagueÂ (IYJL). Activists demanded that Hernandez be released from detention so she could receive treatment for depression, but Immigration and Customs Enforcement officials announced in late January that she was deported to Mexico. Saavedra, who is a friend of Hernandezâ€™s and organizes with NIYA, experienced the conditions inside a detention facility firsthand when he infiltrated the Broward Transition Center in Florida in July. Saavedra and another NIYA activist, Viridiana Martinez, intentionally turned themselves in at Port Everglades in order to raise awareness about the detention and deportation proceedings are like. Saavedra says that though the detention center was very similar to a motel, the psychological effects of being imprisoned take a toll on the undocumented immigrants, especially the minors. Furthermore, detention and deportation often causes family separation, something that Velazquillo personally experienced. In 2010, her brother Erick was driving home from the gym in North Carolina when a cop pulled him over for driving with his high beams on. He was arrested and charged for driving without a license and spent three days in jail. He posted a bond and was released, but for almost a year, his future remained uncertain as he faced the prospect of deportation back to Mexico. Velazquillo and her family worked with NC DREAM Team to publicize her brotherâ€™s case. After a judge granted her brother a reprieve, ICE officials decided in August 2011 to let him stay in the country. Even those who manage to avoid arrest and deportation still deal with the daily worries of keeping their status a secret. Yaxal Sobrevilla, a Chicago resident and organizer for IYJL, says that while her parents were open about their immigration status within their family, her mother told her she had to be careful about whom she talked to about being undocumented. Furthermore, simple tasks that citizens and legal residents sometimes take for granted become a source of frustration, such as getting a driverâ€™s license. For Saavedra, the constant lying and keeping secrets took a toll on his mental health. Saavedra said that as he came closer to graduating from college, the pressure about his immigration status and uncertain future caused a lot of stress. In a study conducted last year by University of Chicago professor Roberto Gonzales, only 31 of the 150 undocumented immigrants interviewed received a bachelorâ€™s degree or more. Of those 31, none were able to pursue their chosen careers after graduation. And though all of the 150 respondents were educated in the United States, they ended up in the same jobs their parents had, such as working in construction, cleaning services and restaurants. Carla Navoa, a 23-year-old undocumented Filipina who studies at University of Illinois at Chicago, says that while her immigration status inspired her to work hard in school, she found out later that she wouldnâ€™t be able to achieve her dream of becoming a teacher. In an incident similar to Lunaâ€™s, Chicago resident Benjamin Pintor committed suicide on Thanksgiving weekend in 2010 because, friends and family say, his undocumented status left him without many options. Dr. Martinez says that undocumented youth have a tendency to take it upon themselves to help their family rise above their immigration status. Lunaâ€™s story made national headlines because his family, friends and immigration activists said he lost hope after the DREAM Act failed in Congress in late 2010. The Development, Relief, and Education for Alien Minors Act is a proposal that would provide a pathway to conditional permanent residency for undocumented youth, if they serve in the military or obtain higher education. Luna, who came to the United States as an infant, would have been eligible for the DREAM Act. Like many DREAMers, Luna was a hardworking student. He was in the top 20 % of his class and he worked a part-time job on weekends to make extra money. 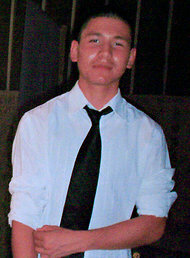 He had applied to the University of Texas-Pan American but died before he found out about his acceptance. The U.S. House of Representatives passed the DREAM Act in December 2010, but the bill stalled in the Senate. Since then, 11 states, including Illinois, have passed a state version of the DREAM Act. Because states cannot grant citizenship status, most of the state laws focus on providing better access to higher education for undocumented youth, like creating scholarship funds that raise money independently. Earlier this year, the Obama administration announced the Deferred Action for Childhood Arrivals program that grants a two-year employment authorization for eligible undocumented youth. The program does not provide a pathway to citizenship, however. As of Nov. 15, more than 300,000 undocumented youth have applied for DACA and more than 53,000 have been approved, according to the U.S. Citizenship and Immigration Services (USCIS). Navoa took advantage of the program and is in the process of receiving her work permit. While her dreams of becoming a teacher are temporarily on hold, she found a job working as a youth organizer with the Korean American Resource and Cultural Center, where she plans on working after finishing up her senior year at UIC. But Alvarez of the Adler School points out that DACA is not a long-term solution, with many concerned about what will happen when the program ends. For some, even the DREAM Act, though a much broader solution, doesnâ€™t completely alleviate the worries of undocumented youth. Though the lawful status that undocumented youth might obtain through the DREAM Act, if enacted, may eventually lead to a paying job with health insurance, it doesnâ€™t improve immediate access to mental health care. Both Alvarez and Martinez say there is plenty of work to be done outside of immigration policy in helping undocumented youth deal with mental illness. Martinez notes that without addressing societyâ€™s general stigma toward mental health, anyone â€” undocumented or not â€” might still be reluctant to seek out treatment and medical help. One bright spot is that young activists are feeling empowered by the DREAMers movement and many of them say that organizing and getting involved has helped them cope with depression and anxiety. 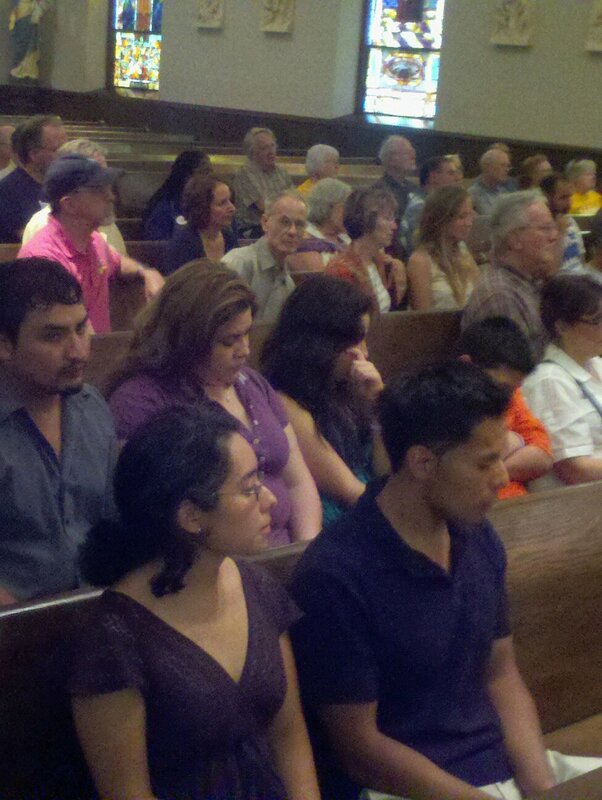 Sobrevilla says that groups like IYJL and NIYA provide a support network for many undocumented youth. That network is particularly comforting for undocumented young adults, as they risk getting arrested and deported by coming out about their immigration status. The University of Chicagoâ€™s Lopez-Martinez says she found comfort in attending an IYJL meeting and hearing the stories of undocumented youth just like her. She says she first heard about the group from two of her college friends. Velazquillo and other organizers from NIYA decided to use the healing power of a support system to help other undocumented youth across the country. 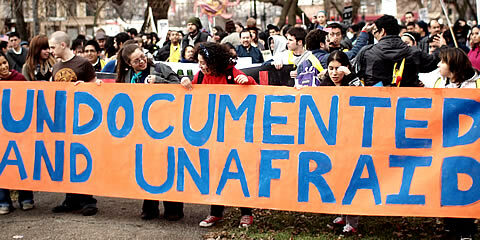 They startedÂ Undocuhealth, a blog that deals specifically with the mental health needs of undocumented immigrants. But ultimately, the lack of action on immigration reform continues to be taxing for undocumented youth. Though there was a lot of buzz after the election on the increasing electoral power of Hispanics and the pressure they can levy on politicians, immigration, in the immediate future, has taken a backseat to the fiscal cliff discussions in Washington. Saavedra says that he is hopeful he and other activists can increase understanding and awareness among Americans about undocumented youth. Alvarez agrees that humanizing the issue would help address the problem.